Default Window Behavior in Word – Zoom, Size, Position, etc. A number of different factors determine how document windows open in Word. In Word 2010 and earlier versions, the window size, window position, zoom, etc., are inherited from different sources. You can manage the settings for documents individually once you know how it works. Microsoft changed the behavior in Word 2013 and later versions so the settings work at program level instead of document level. The PDF document you can open via the link below explains how it works in Word 2010 and earlier versions. You need Adobe Acrobat Reader to open and view PDF documents directly if saved locally on your device. You can install the latest version of Adobe Acrobat Reader from the link below. In case of Word 2013 or later version, you can use a macro to force Word to open documents with a specific zoom and view type. 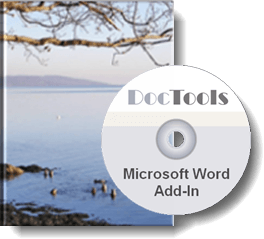 See the macros in my article How to Open Word Documents with Specific Zoom and View. The macros also work with earlier versions of Word. You may also be interested in the article How can I make Word open new documents in a certain view (Normal or Page Layout) or at a specified zoom ratio? found at the Word MVP site. For macros that can be used to open new and existing documents with a specific zoom and view type, see my article How to Open Word Documents with Specific Zoom and View.